Let’s begin by explaining exactly how each board is made. Once the tree is felled and taken to the mill, each log is cut in a rift sawn fashion or quarter sawn fashion. Rift sawn boards show the elongated stripes of the ring growth throughout each board while quarter-sawn boards have more straight lines adorning the face. With hardwoods like Ipe, Cumaru, and Tigerwood the quarter-sawn grain appears very prominent in the wood and adds a touch of character to each board. 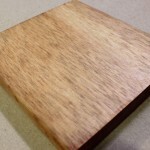 You can expect to see both types of cut boards in your order. One of the major assumptions about decking is obtaining uniform boards in both color and character. With all natural exotic hardwoods it’s not possible to have this because nature doesn’t engineer trees to be this way. For instance, an Ipe tree can have one area of its log in a dark chocolate brown while another is green, and other areas are anything in between. The same is for Cumaru and Tigerwood. Each log is unique and the colors are not manufactured. Some types of woods like Cedar, Redwood and Pine can be bought according to the clarity of wood you want to obtain. This wood ranges from knotty to all clear heart. 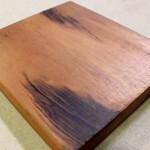 Exotic hardwoods like Ipe, Cumaru, and Tigerwood have very stringent laws governing its harvest and as an active participant in sustainable forestry, AdvantageLumber.com, in good conscience, cannot sell only all clear heart wood because it means that the majority of the log would be discarded as trash. However, most Ipe trees have very few knots, if any are present on one face of the board, most likely the other face won’t have it. Choosing each tree carefully and utilizing as much as possible from each log are key steps in maintaining sustainable forestry standards. 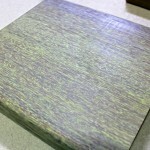 Each order we send out will have a mix of color and grain pattern. To minimize imperfections, finish your deck with UV inhabitant oil such as Ipe Oil. This will make the boards more uniform in color while bringing out the beautiful grain patterns and protect it from the UV rays which patina it to a silver color. Ultimately, when you choose all-natural exotic hardwood decking you will have a one of a kind deck whose beauty and character is unique and can’t be duplicated no matter how hard synthetic materials try. 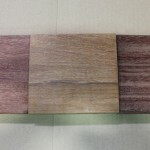 The following is a small slideshow of the extremes of colors that Ipe, Cumaru, and Tigerwood can be. All of the boards are equally as stable and durable but the different variations in colors and grain is what makes each piece unique. No two boards will be the same, making each deck built unique. 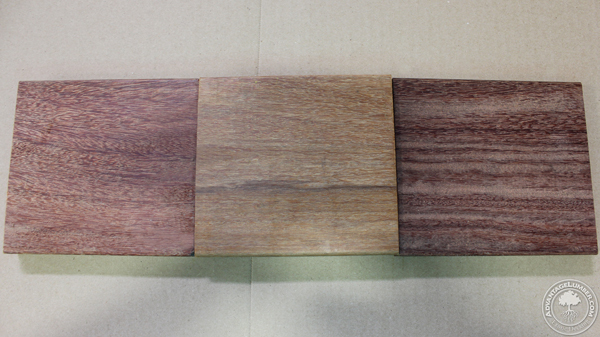 Below: A variety of colors that Ipe comes in. Green Ipe boards with hints of yellow. 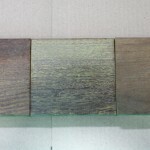 Below: Cumaru and the different colors it comes in as well as quarter-sawn grain. Lightly brown colored Cumaru in a very straight and uniform grain pattern. 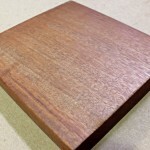 Quarter-sawn red Cumaru. The quarter sawn is noticeable adding beautiful character to the board. 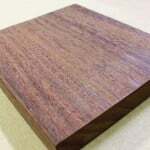 Below: Tigerwood and it’s variety of colors and striping it contains. 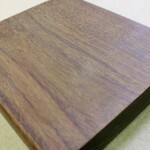 Tigerwood comes also has a variety of colors and grain patterns. 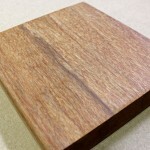 This is a common tigerwood board with dark stripes in the grain. 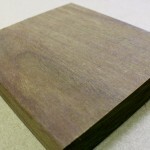 A lighter brown board is also common, with this board not having any of the stripes. 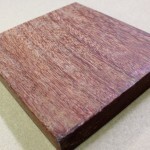 This brown tigerwood board has small hints of red hue and a small amount of striping at the bottom of the face. We manage a property in Longport, NJ that had a deck installed last fall. The installer told us that we should not powerwash or put any sealers on the wood and to use Murphy’s Oil Soap to simply clean the wood. As we approach the season the wood appears faded and there are some areas that initially were covered with a pile of wood that are darker than the rest of the deck. The property is located on the bay in Longport and the deck is over the water. How do you suggest that we prepare the deck for the season? We appreciate you help. It all depends upon what kind of wood was used for the deck. 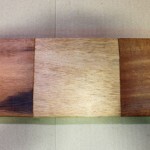 Using the appropriate cleaner for that wood will clean the surface and restore the pH balance. Pressure washing should be used as a last resort since it can damage the grain if done improperly.